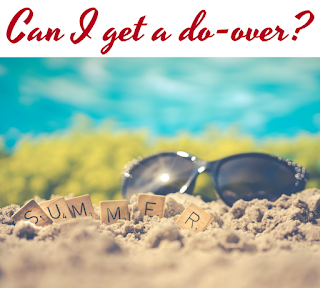 Can I Get a Summer Do-Over? One look at the date tells me I need to start getting in gear. I have to start getting in the right mindset for back to school. Some years I'm ready; this year I'm not. 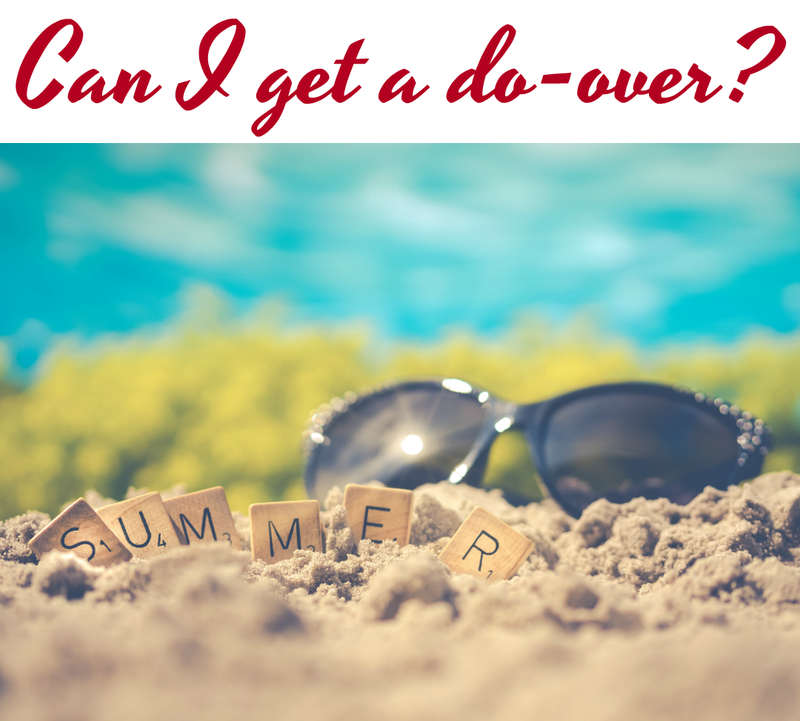 Can I get a Summer do-over? I'm just telling myself: 6 more years and then every day will be a summer day...unless I decide to go part-time, but that's a post for another day. I do a lot of "self-talk", you know, trying to psych myself up for the new year. I try not to think about it until I need to. When classroom teachers are in their rooms getting them all spruced up for fresh smiling faces, I'm saying "I'm not going to think about it." You'll rarely find me in one of my rooms before the first-day that teachers are back. Summers are too short....life is too short! I may stay a little late to do things (Who am I kidding? I'm out of the building at the first chance!) but I'm not going to go out to a school on my summer break. Things will get done when they get done. And somehow they always do. 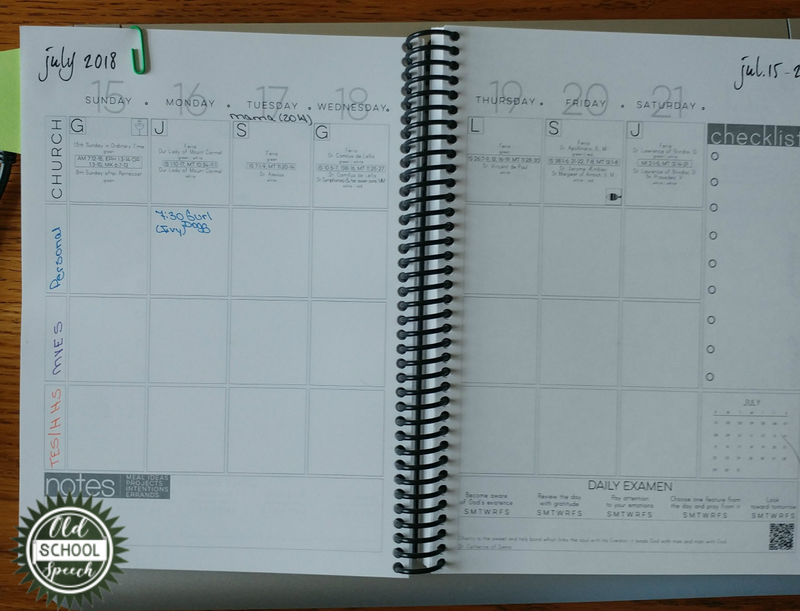 Fill out my planner with IEP due dates. 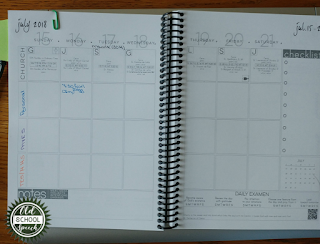 Not only that, but I pencil in when they are tentatively planned for the whole year. It keeps me from scrambling from month-to-month. In addition to that, I pencil in when I will send the IEP notices. You can't be too organized! Check my email daily. I don't have my school email on my phone and I don't check it daily (or even weekly) during the summer. If you worked for a business or corporation, would they require you to check your email while you're on vacation? Some may, but I bet the majority don't. So why do we feel the need to be in constant contact with our school systems? Go to bed at my normal school time. Yes it's still light out and yes I'd rather be staying up but I've got to get my body back on school time. School systems tend to frown on afternoon naps. Eat lunch at 11:00. Seriously. No more eating when I feel like it. Start looking at my caseload and looking over goals. I'll be at a different elementary school and will be adding a high school so I start familiarizing myself with goals a few days before going back. It will click better when I'm able to put a face with a name and goals. Clean out my bag. You know, that big school bag that was tossed in the closet when I got home the last day of school. Time to pull it out and purge. I really do love my job and have no idea what I would do if I wasn't an SLP. The kids are still making me laugh and most days I can't wait to get to school. I'm just really enjoying my freedom this summer. I've read, binge-watched some shows, written on my blogs a bit, and have really enjoyed being still at times and watching the world go by. As they say, all good things must come to an end...but why does it have to be so soon? What I wouldn't give for a summer do-over! 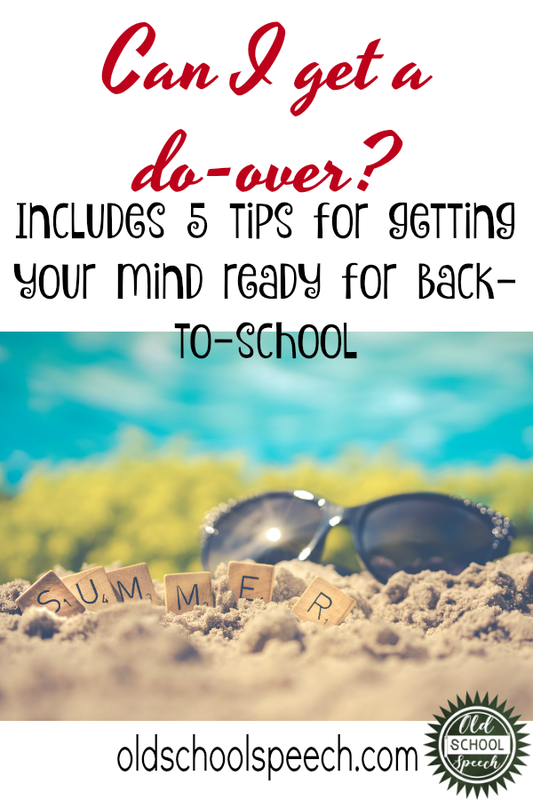 Here are some tips for after you get back to school: The Beginning of the School Year: You've Got This! This post offers more tips just for teachers. Happy Teacher Happy Kids gives some great advice for new (and not-so-new) teachers. Education to the Core included input from teachers across the nation in The Best Back to School Tips from Teachers.